MSV: Justin says "Get out the vote!" 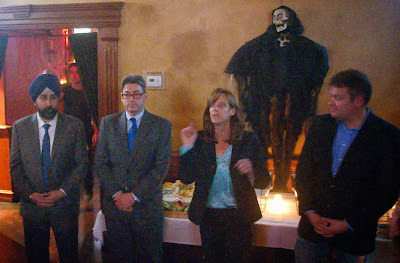 Mayor Zimmer addressing a throng of supporters last night. Last night the Zimmer Team held a get out the vote rally at the 10th and Willow Bar & Grill. An energized room of supporters enthusiastically greeted Mayor Zimmer and council members Dave Mello, Ravi Bhalla and candidate Jim Doyle. The room featured a strong contingent of support for Kids First Jennifer Evans, Leon Gold and Irene Sobolov. This original video comes courtesy of Bond, Greg Bond.